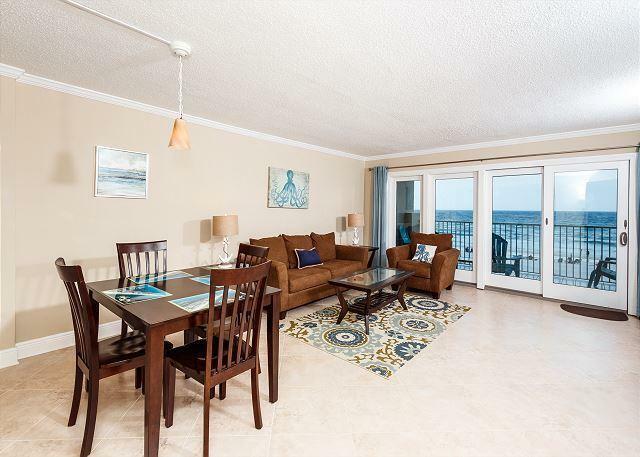 Simply stunning gulf front 1 bedroom! All-new contemporary furnishings in neutral colors with nautical accents make this unit is an absolute gem. 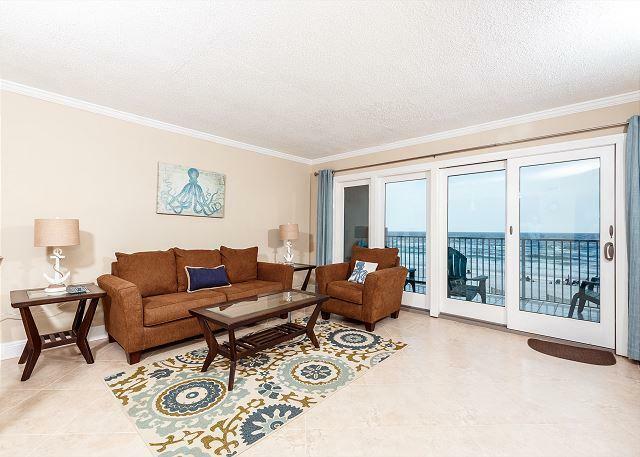 This is an amazing renovated and spacious condo with direct gulf views from your private 3rd floor balcony. This 1 bedroom/2 full bath condo boasts 1060 square feet that includes a spacious living room, dining room and kitchen. In 2016 flooring was replaced with gorgeous tile, a complete remodel of the guest bathroom was completed, new baseboards were installed throughout, new stainless steel appliances and all new furniture was purchased. In 2018, the condo was completely repainted inside and a brand new HVAC unit was installed. 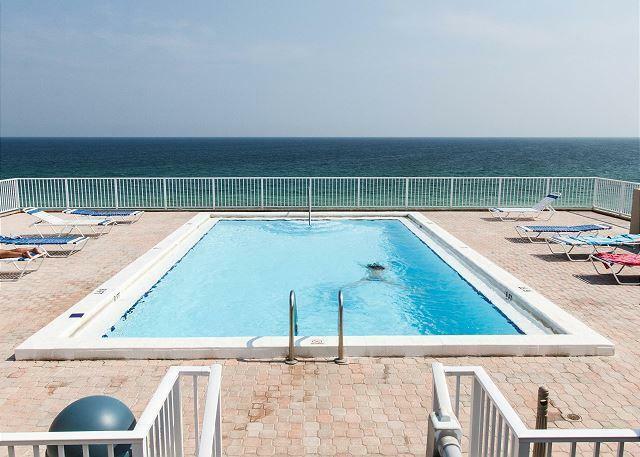 Condo has two owners closets, washer, dryer and shared owners space on the 7th floor.Complex has an amazing rooftop pool that is also gulf front and there is covered parking. 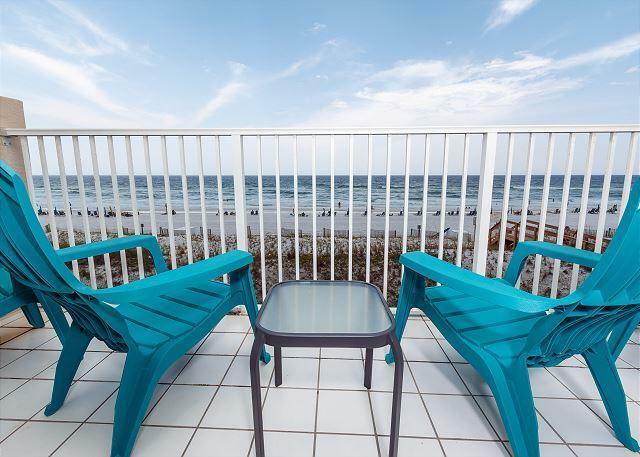 This condo has been on a vacation rental program and has grossed approximately $35k each year. Don't miss out on this opportunity, as it won't last long. Listing courtesy of Crye-Leike Premier Properties.